Mag catch fully engaged? Tightened into the mag release button? 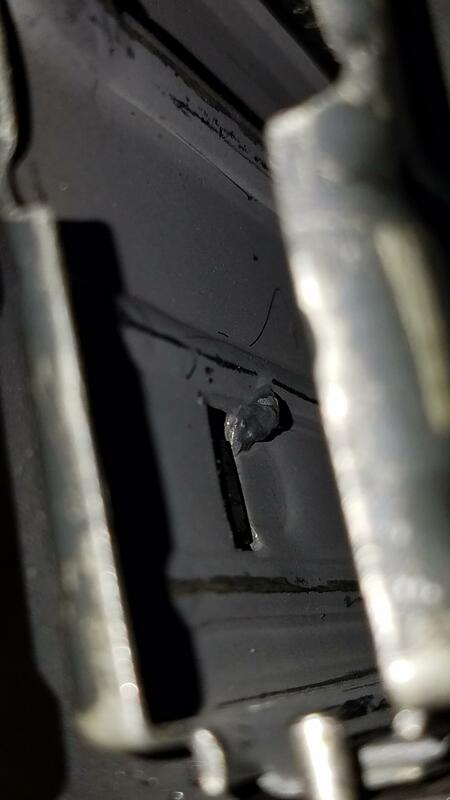 Wear on the mag catch? Multiple mags? Mags work in other guns? Yes fully engaged, tried that, yes mags work in other guns, mag release is ambi, yes all 5 mags 4 old army mags and 1 that came with rifle. Pics will have to be tonight after overtime watch. At 800 SN you shouldn't have ambi on a L...are you the original owner? If not, someone swapped one in. 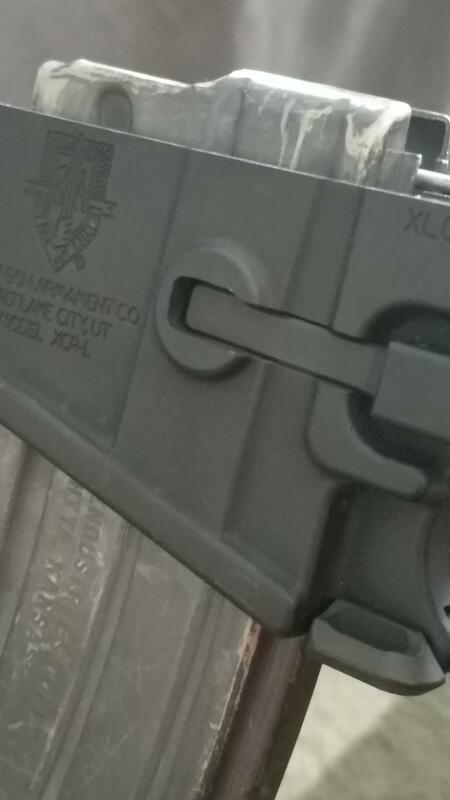 My guess is they installed it incorrectly (not wound in far enough) or....perhaps they have the wrong part (square vs. round lug for the release on the left side of the gun). Just guessing though without pics. Originally Posted by Sean K.
I agree with Sean. Here is the link for the parts comparison. Ya, I have them in my 3K SN lowers....but like you said that didn't come about until a looong time after 800. Sorry for the long delay. Divorce and work has chewed up my time. I posted the pics of the rifle. I am original owner and I put the release in cause I am lefty. Now it seems mag caught doesn't go far enough into mag (see mag inserted pic). Any thing I missed let me know. Can you tighten the mag arm any more? Push the button as far into the receiver as you can with a pen/pencil etc, give the arm a turn or two. ETA: Sorry, I said the same thing awhile back. Pic looks like the catch should be engaging. With the mag release button removed, how far into the well will the mag catch go? 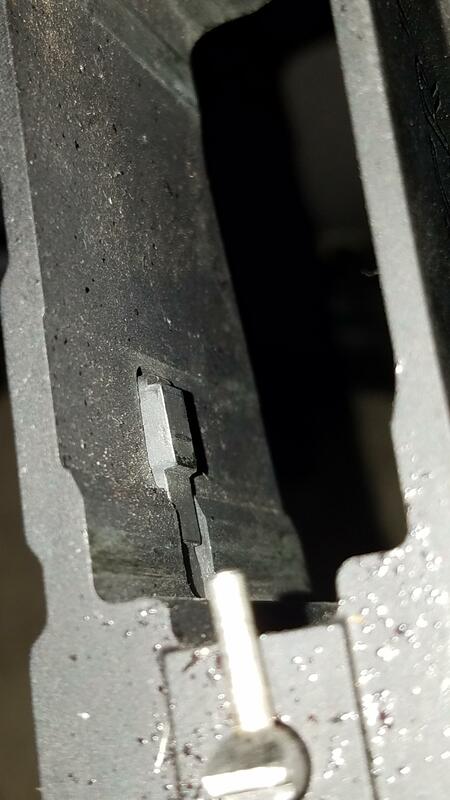 ETA, A: I checked one of my XCRs, the mag catch looks like it's a little deeper than yours is. 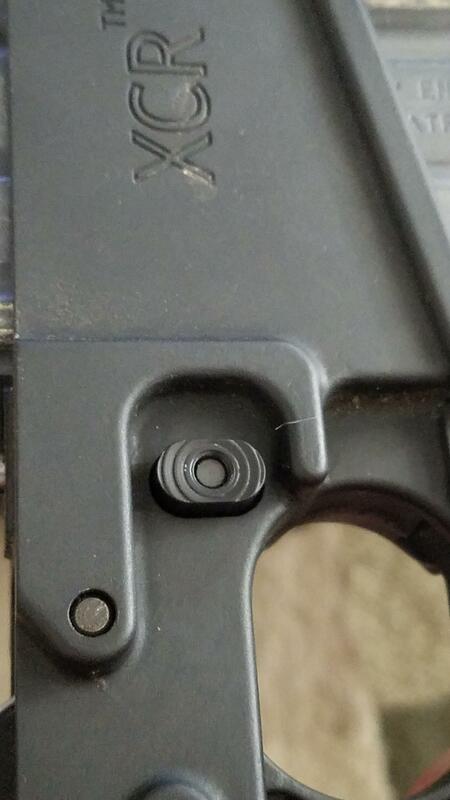 The third "step" on my mag catch is flush with the inside of the mag well. Last edited by navalbeaver; 09-05-2018 at 02:31 PM. M96 Mag well w/ bolt release?